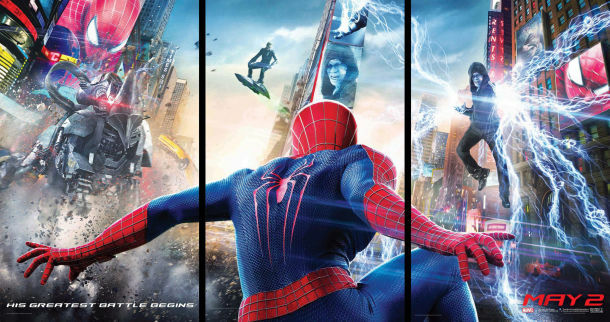 The Amazing Spider-Man 2: Maximum Spider? 2 Comments on The Amazing Spider-Man 2: Maximum Spider? One thing Japan gets screwed out of are movie release dates. Half the time we won’t get a movie until a good four to six months from the original date from the States. There are a few exceptions though, with The Amazing Spider-Man series being one of them. Having watched it about a week ago, I’ve had some time to reflect on the sequel to the 2012 superhero reboot. Entertaining? Yes. Amazing? Not quite. Needless to say, minor spoilers will follow. One thing I enjoyed from the first Amazing Spider-Man movie was how natural the story played out. Being a big Spidey fan, I’ve seen the origin story countless times. Personally, I find Andrew Garfield to be a better Peter Parker than Tobey Maguire, even if I dislike his usage of skateboarding (which thankfully, you don’t see in the sequel). I also loved seeing Gwen Stacy being used on the big screen the way she was in the original comics, as opposed to Kirsten Dunst’s Mary Jane. Emma Stone was a great choice and her interactions with Garfield feel really genuine. Actually, their little bits together were some of the favorite parts of the first movie for me. It’s a shame, then, that the second movie really downplays the two since their relationship going sour is one of the main plots of the story. After promising Gwen’s dad that he wouldn’t involve her in the whole “superhero’s girlfriend” mess, Peter remains conflicted about dating her. Juggling between his feelings for her and his promise to her deceased father, the conflict lingers throughout the entire movie. I found it to be a good subplot, but it could’ve been developed more. All we get are a couple of arguments between the two and a few haunting visions of Dennis Leary. Besides that, Peter turns a bit creepy and basically stalks Gwen for part of the movie (in order to “protect” her). What really surprised me is that Gwen felt a bit flattered rather than shocked. Would you really be cool if you found out your superhero ex was watching you from afar? I doubt it. Despite the lacking things about this storyline, I thought it was concluded very nicely. I won’t say anything other than that to avoid pretty major spoilers. While Spidey is dealing with these relationship issues, he also has other things on his plate. Namely Electro, New York’s newest villain. I will admit I was baffled when I saw a dorky Jamie Foxx appear on the screen. Bias note: I am not a big fan of Jamie Foxx, but that doesn’t mean I won’t give him a chance (I liked him in Django Unchained). Still, I didn’t think he was a good fit here. I don’t know if I can blame Foxx though since this movie’s incarnation of Electro felt a bit underwhelming. He’s a geeky pushover who becomes obsessed with our webslinger only to harbor hate for him after a giant misunderstanding. It just felt very cliché and predictable. Compared to the last film’s Lizard, Electro was a snooze. I expected someone with a more fleshed out background and personality to be the main villain but instead we given a very underwhelming character. What happened, writers? One nice thing I can say about Electro is that the fights looked very nice, and the way the soundtrack actually interacts with him when he fighting Spider-Man was a treat. As if Electro and girlfriend issues weren’t enough, we also get introduced to Harry Osborn. Old chums now reconnected, Harry has a request that only Spider-Man can give him. More inner conflict! Oh, and remember the Parker family subplot from the last movie? Well, we get to see that mixed in between all of this as well. Are you getting confused yet? Or are you thinking, “How can they manage to fit all of this in one film?” The Amazing Spider-Man 2 responds to that by having the film be a whopping 142 minutes long! I’m able to not even notice a movie’s length if it’s done well. Sadly, I can’t say the same with this film. You definitely feel the movie’s length. Combined with the bloated plate of plots that we are given, the results are only okay at best. I was actually reminded of the much-maligned Spider-Man 3 after watching this film. While thankfully I can say it’s not the mess that Spidey 3 was, there were definitely some pacing issues because the producers just simply had too much stuff going on (I didn’t even mention the Rhino). By having all these stories and characters in the film, you never really get to see any of them fleshed out. Don’t get me wrong though, it may not be the best movie, but it’s still an entertaining one. The battles and webslinging scenes are done very well. I saw this on an IMAX 3D screen and while I’m generally not a big fan of 3D, some of the scenes felt as if I was slinging through the city myself. When action is needed, the movie delivers it quite well. And while the movie is a roller-coaster of ups and downs throughout, it ends strongly, to the point where despite its faults, I’m looking forward to the next film. Having enjoyed the first Amazing Spider-Man and being a Spidey fan myself, I was a bit disappointed in this film overall. There were great pieces here and there but as whole, it suffers from giving you too much with too little development. As your average superhero movie viewer, you’ll probably find it to be an entertaining watch, albeit a long one. Just don’t expect anything amazing. good review Diego! I think I will take your advise and watch the reboot series. This movie sucked. It was boring when it supposed to be exciting and dull when it was supposed to be touching. 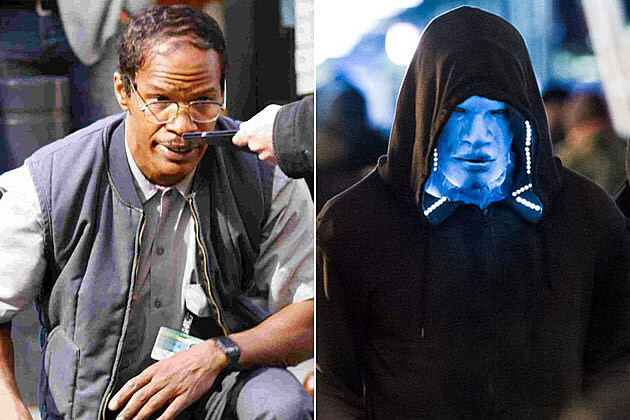 You’re right, Electro was a major let-down after Lizard all respects to Jamie Foxx.